Just a couple of weeks after its last major update, the colorful tally app Counters• has counted its version number up one notch with the arrival of another major update. Introducing a Sounds section to app Settings! Switch between the default keyboard click sounds, a new spoken numbers option (each number is read out loud as you count up, down and reset), and no sounds at all. Note that regardless of sound setting, our app is always silent when the iOS mute switch is activated. The new version of Counters• also lets you set the app badge so that it displays the total of the count numbers of your selected counters (even all of your counters). 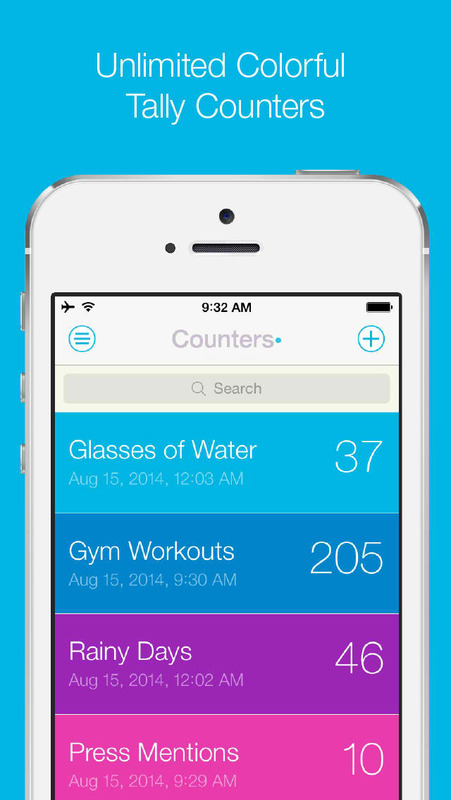 Previously, the app badge could display only the count number of one selected counter. Counters• 2.3 also adds support for international formatting of dates, times, and numbers, in accordance with iOS’ set region and 24-hour time formats. In addition, it offers localization support for different English-speaking countries outside the U.S., including Australia, Canada, Hong Kong, Ireland, New Zealand, and the U.K. 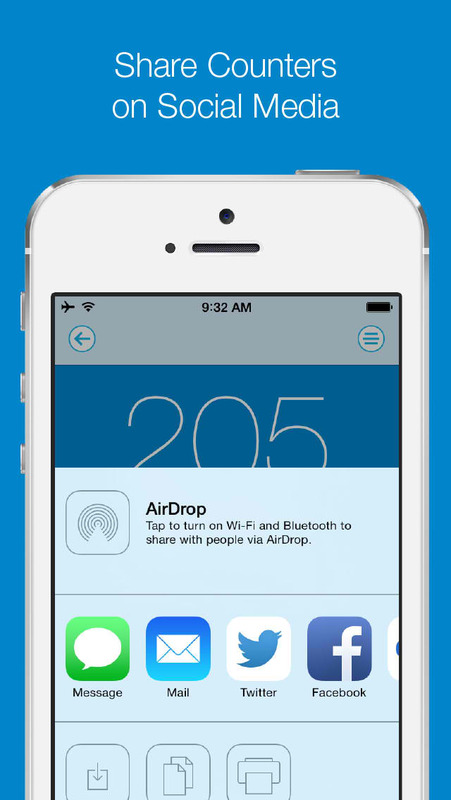 Furthermore, the updated app introduces AirDrop sharing, enabling you to quickly share screenshots of your counts with other iOS 7 users nearby. Counters• 2.3 also changes the app’s multi-finger mode’s reset gesture to a two-finger tap-and-hold, as opposed to a three-finger tap. Apparently, having Accessibility Zoom enabled on iOS hijacks all three-finger gestures from apps. 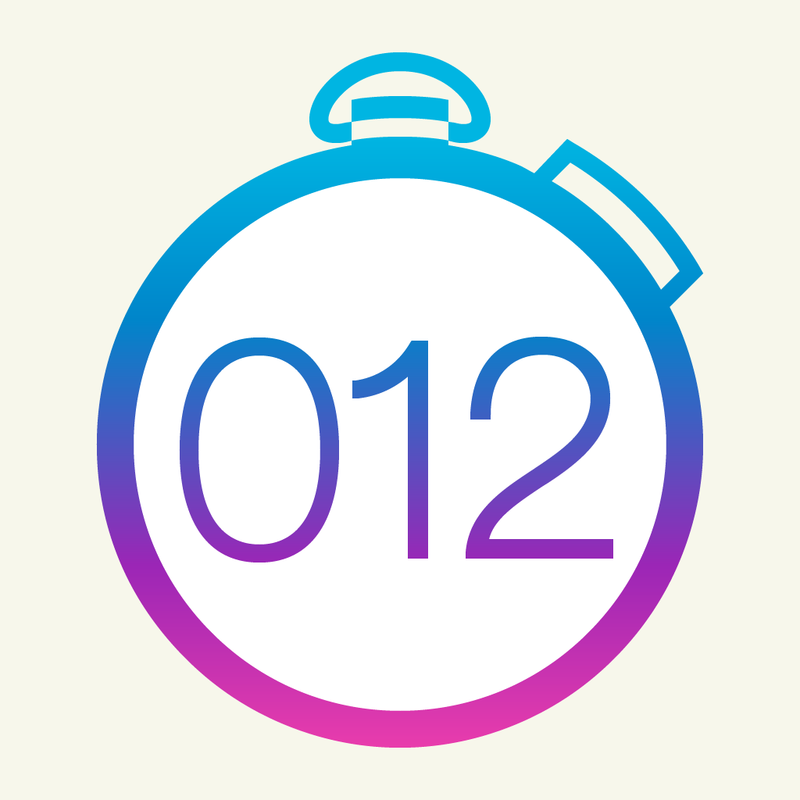 The app’s single-finger mode, introduced through its previous 2.2 update, uses a one-finger tap-and-hold to reset counters. Flexible Counter Title Lengths. List view of counters now shows more or less characters of counter titles based on the number of digits of count numbers. Numbers When Reordering. Now when you go into Counters List View’s edit mode to reorder and delete counters, the counter titles and count numbers are displayed (previously only titles were shown). Up & Down Steps. The Up Step and Down Step controls have swapped positions with each other in New & Edit Counter Views for better UI consistency. Optimized for iPhone and iPod touch running iOS 7.0 or later, Counters• 2.3 is available now on the App Store as a free update or as a new $1.99 download.